Mitakihara Magi Football: New album from Kaname Hall released! New album from Kaname Hall released! 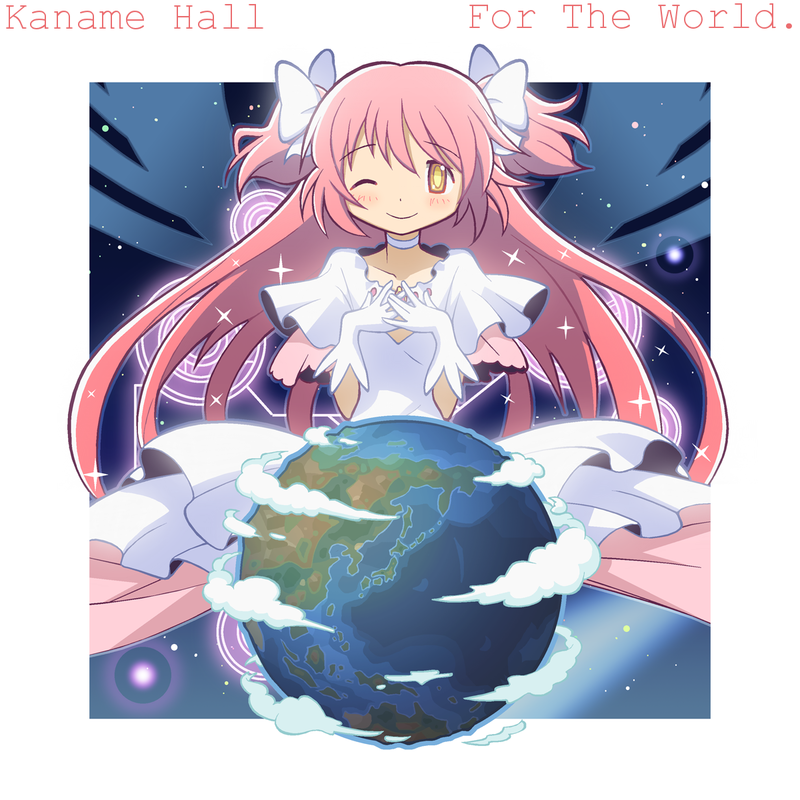 The new album from Kaname Hall is out on iTunes, entitled "For The World." This will be their final album for a while as the band members will go on hiatus due to other personal obligations, such as graduation and subsequent career changes. Frontman Ricky Cojuangco, named the Magi offensive captain for the 2063 season, was teary-eyed when asked of the album's production. "It's sad to see that Kaname Hall will go on hiatus for a bit, but it was all for the best," Cojuangco said via phone interview, accompanied by his pet dog Doge. "We have other careers we want to pursue, not just music. 'For The World' is our way of getting ready for jobs in the real world, and it just makes you feel good when you think about the possibilities. "Are you ready to put your feet on the gas pedal, impress the boss, get results and win in the boardrooms of big business? If you are confident, if you have drive, you can get far and succeed in life. That's what our album is about." The album includes a rendition of "YATTA!" by the band Green Leaves and features a new group of high school students forming a band, called the Good Night Boys. "It was fun getting everybody in harmony, the backing sounded timeless, smooth, and reflective of the Mitakihara Sound," Cojuangco. "We also filmed a video of the song, featuring different places in Mitakihara and we included some flashmobs, sports highlights of the Magi and Puella Magi...it was great to be a part of this project." "For The World" is out on iTunes for $19.99 CAN. 14. Ready? No! Ready? Yes!